When looking for food at the grocery store, you want to make the best decisions for your health. Unfortunately, it’s easy to fall into marketing traps and buzzwords that make the food seem healthy, when really that might not be the case. Well I’m here to help! There are a lot of nuances when it comes to food labeling, so I’ve created a guide to help you better understand common labeling terms and what they really mean. Natural pretty much means NOTHING when it comes to food. Any company can throw the word “natural” on their product – it is unregulated. Food labeled “natural” can still mean that it contains hormones, antibiotics, pesticides, sewage sludge, genetically modified ingredients, and fertilizers. It is just a buzzword to make consumers think they are making a healthy choice. Greasy potato chips are “natural.” Mountain Dew is “natural.” Don’t fall for it. 100% organic means just that – it contains ONLY organic ingredients. These items have the USDA Organic seal on them. I recently did a post on what organic really means, so read that if you are interested in the details. 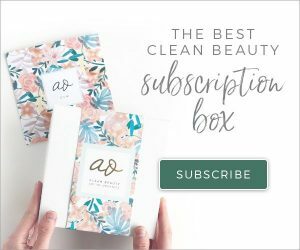 According to organic.org, “Simply stated, organic produce and other ingredients are grown without the use of synthetic pesticides, synthetic fertilizers, sewage sludge, genetically modified organisms, or ionizing radiation. Animals that produce meat, poultry, eggs, and dairy products do not take antibiotics or growth hormones.” So yes, organic does also mean non-GMO. If you are looking at produce at the store, you will notice a little sticker with numbers on it. If your produce has 4 digits, it means that it was “conventionally grown, but not organic”. If it has 5 digits, and begins with a 9, it means that the produce was organically grown. This means it has at least 95% organic ingredients. These foods can still contain the USDA Organic seal. Certified organic is the same as organic, it just means that the farmer applied for the USDA label. Many farmers decide to forego the certification because of rigorous applications, costs, inspections, etc. If you are buying food from a farmers market, for example, always ask them how their food is grown to get the exact details. 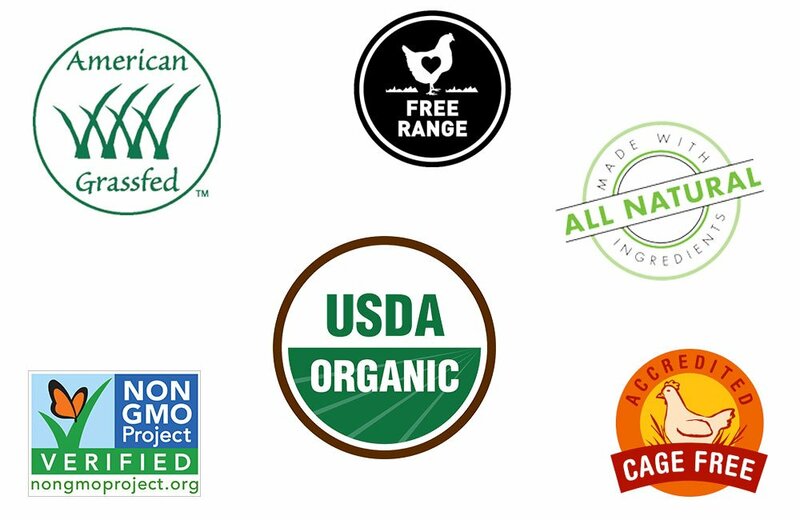 Keep in mind that even if a producer is certified organic, the use of the USDA Organic label is optional. This means that the food contains between 70% and 95% organic ingredients and can list up to three of those ingredients as “organic.” Foods that have less than 70% organic ingredients cannot be labeled organic, but the label can indicate that there are organic ingredients. Or “made without genetically modified ingredients.” Non-GMO means that the food has been grown without genetically modified organisms. GMOs are genetically modified organisms that contain lab-created genes to give them new characteristics, such an increased size, resistance to pests, or a more appealing aesthetic. If you are unfamiliar with the dangers of GMOs, Realfoodology gives a great explanation to why they are unsafe. Naturally Savvy has another very informative article. 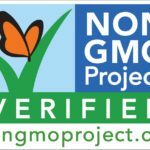 When food is labeled non-GMO, that does NOT mean that it is organic. It can still contain pesticides, herbicides, sewage sludge, antibiotics, etc. So beware of foods with just the non-GMO label and no organic label. Also be aware that the non-GMO label is not regulated by the FDA – there is no process behind getting certified to use this label. 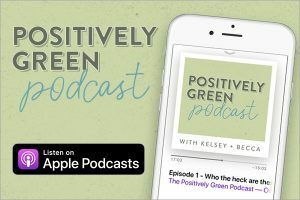 My husband did a guest post that goes more in-depth about GMOs and why you should be cautious of them, if you want some more information. When looking at produce at the store, look at the sticker. A 5 digit code that begins with an 8 indicates that the produce was genetically modified. Often times animals are given hormones to make them grow faster so that they can be sent to market quicker, and in turn make more money. This is a problem because when we eat that meat, we are ingesting the hormones ourselves. Hormone imbalances in our body are a big problem. Animals that live in close quarters of each other are also given antibiotics to keep them from getting sick. These are also transferred to us when we eat that meat. This leads to antibiotic resistance, amongst other problems. You might also see “rBGH free” when buying dairy. rBGH (recombinant bovine growth hormone) is a genetically engineered artificial hormone injected into dairy cows to make them produce more milk. Also good to note: just because something is antibiotic free does not mean that there are other types of pharmaceuticals given to the animals to prevent them from getting sick. If you buy organic, you can be sure there are NO hormones, antibiotics, or nasty pharmaceuticals in your food. Free range is similar to cage-free. The difference is that the animals are required to be given access to the outdoors. However, what this usually entails is a giant warehouse packed full of birds with one tiny little door to go outside into a tiny little coop. Usually there are so many birds that they can’t even make it outside to begin with. Free range sounds like it would be a nice thing, but that is usually not the case. This is another term that is used for poultry and eggs. It is marketed to sound like a good thing. However, a bird’s diet consists of bugs and grass, so to eliminate their ability to eat that doesn’t make sense. Vegetarian-fed means they are given corn and soy. Likely genetically modified, too, which also means they are heavily sprayed with pesticides. For poultry and eggs, you want to look for pasture raised. This means that the animals are free to roam around outside and eat bugs and grass as they please. They have sunlight and room to move around and a coop to go in and out of. Overall they are healthy and happy and are producing good eggs. You can even notice a difference in the color of yolks and taste of the eggs. Yay for happy chickens! 🐔 For more info on egg labeling, read Realfoodology’s post. For people with Celiac disease or wheat allergies, they are unable to ingest gluten. 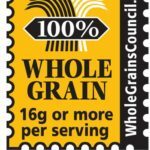 According to celiac.org, “gluten is a general name for the proteins found in wheat.” While the increase in gluten awareness is great for those with a gluten intolerance, it has become a buzzword. Gluten-free does not always mean the product is healthy, especially when fillers such as sugar, GMO corn, or soy are added in place of wheat. Often times the product is highly processed and stripped of nutrients. When looking for gluten-free foods, opt for those that are naturally gluten-free vs. those that are engineered to not have gluten. Kosher is a Jewish dietary law. The word itself means “proper” or “acceptable.” There are rules about what types of animals are kosher, how to butcher them, where they come from, equipment that can be used, etc. Read more about the kosher diet. I also want to point out to be wary of foods labeled no added sugar, colors, synthetics, trans fats, or preservatives. Just because there is no added sugar doesn’t mean that some sugar substitute wasn’t added in it’s place, for example. Read the ingredients and research them if you are unfamiliar. Moral of the story: 100% organic is best. But just because something is organic does not mean it is healthy for you (organic soda, organic candy, etc.). In general, you should always opt for less processed foods, or foods that contain fewer ingredients. Don’t just focus on how much fat or how many calories something has, but instead read the ingredients. Always be skeptical of marketing terms and buzzwords. Do research on companies and how they make their food and buy locally when possible. Real food is best! Great post! I’m glad you found my blog helpful in putting this together. It’s definitely quite the process to manage when shopping! 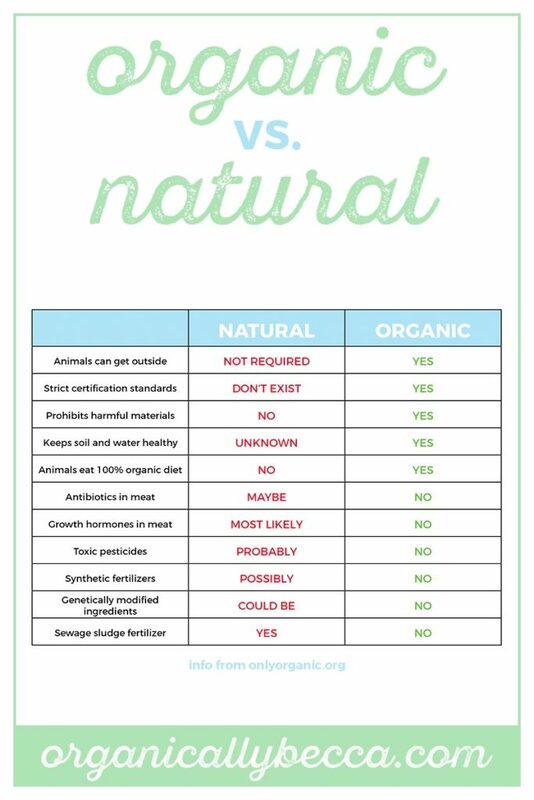 But you’re right… in the end, organic is clearly best! !